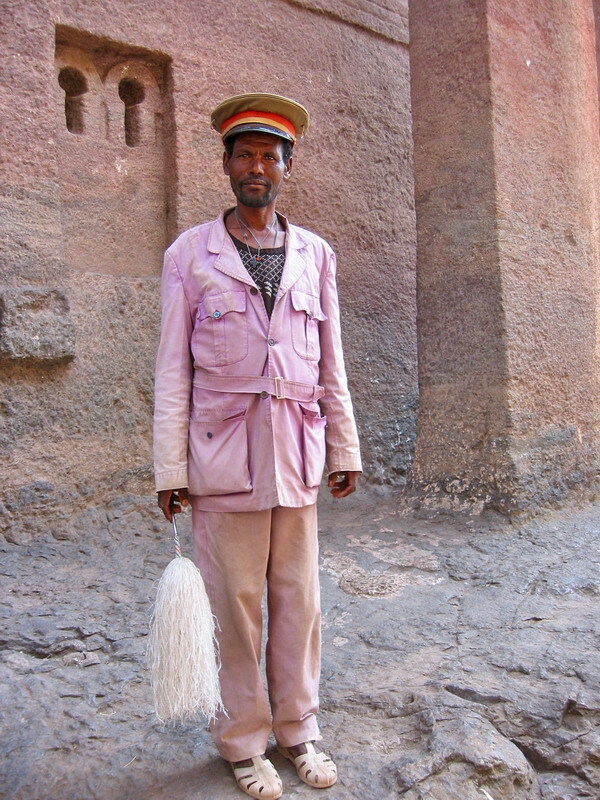 He is one of the guardians of the Lalibela churches. Lalibela is a town in northern Ethiopia, a centre for Orthodox Christianity. Lalibela was intended to be a New Jerusalem in response to the capture of Jerusalem by Muslims in 1187 and has more than a dozen magnificent stone-carved churches.